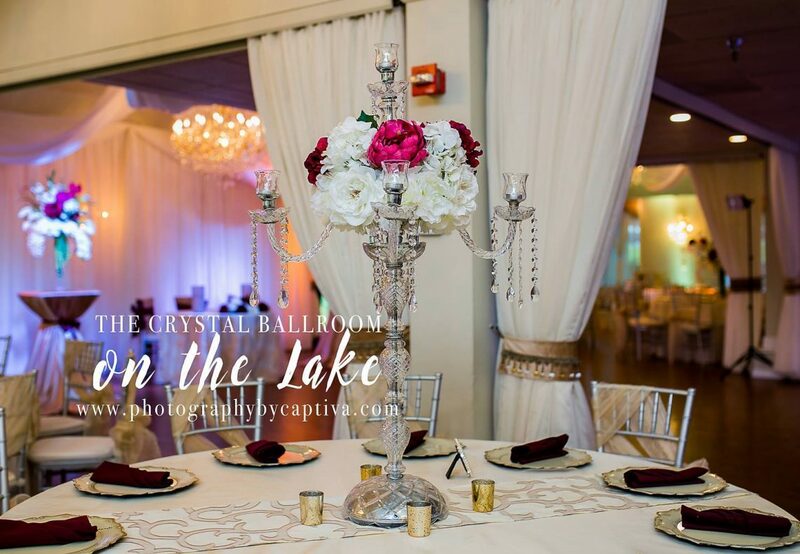 Whether you’re planning a wedding, birthday party, anniversary, or quinceañera, The Crystal Ballroom offers the perfect banquet halls for you. 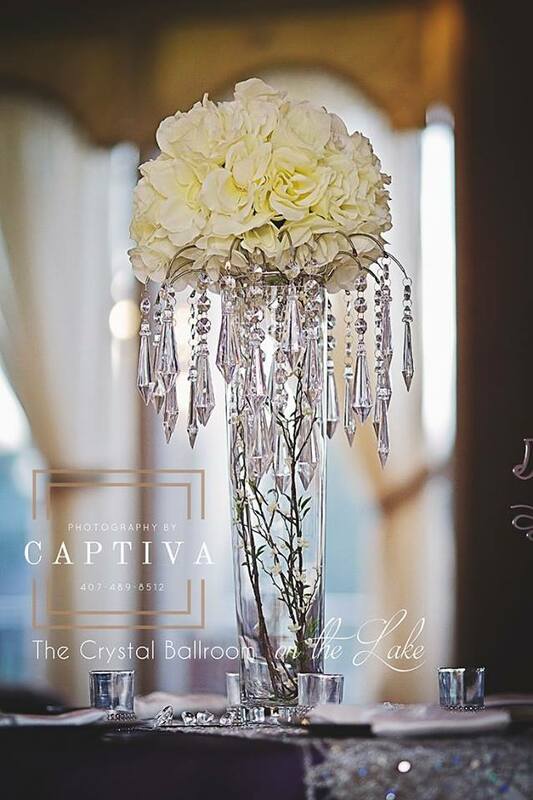 Our stunning event venue features two large ballrooms with meticulously maintained hardwood floors, the capability of accommodating 170 people, as well as 15 gorgeous chandeliers enhanced by ceiling draperies, and color-changing uplighting to accent the space. 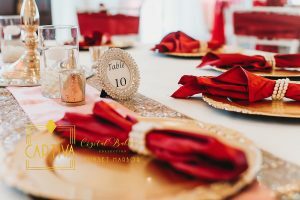 If you need to book a banquet hall in Casselberry, Altamonte Springs, Daytona, Tampa Bay, Metro West, Fort Lauderdale, or St. Augustine, then contact us today! 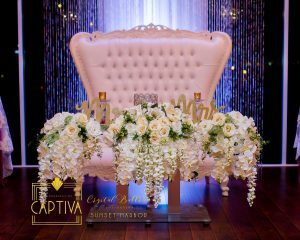 inclusive décor and design services. 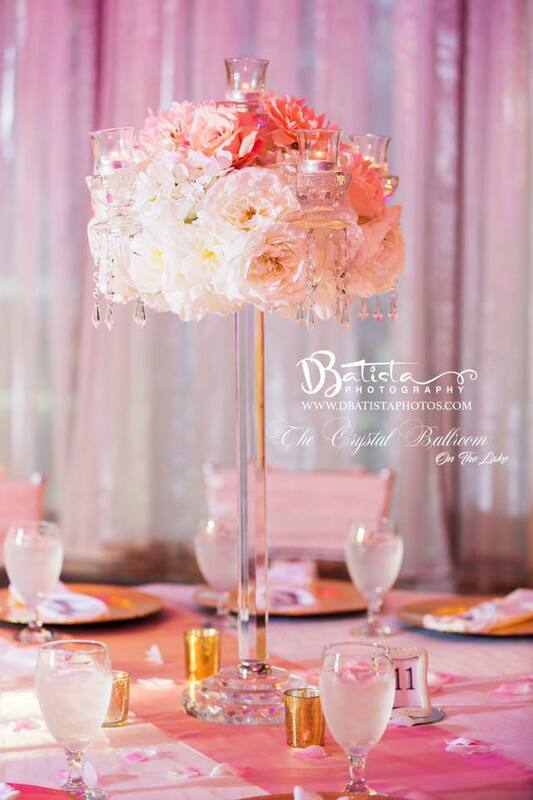 Choose from multiple styles of centerpieces, chair sashes in any color you can imagine, linens in highly-sought-after colors, and elegant accent pieces to highlight your event and make it unforgettable. n-site available. Chef 1 Studios, our recommended caterer, provides an excellent meal (plated or buffet) for a cost-friendly price. 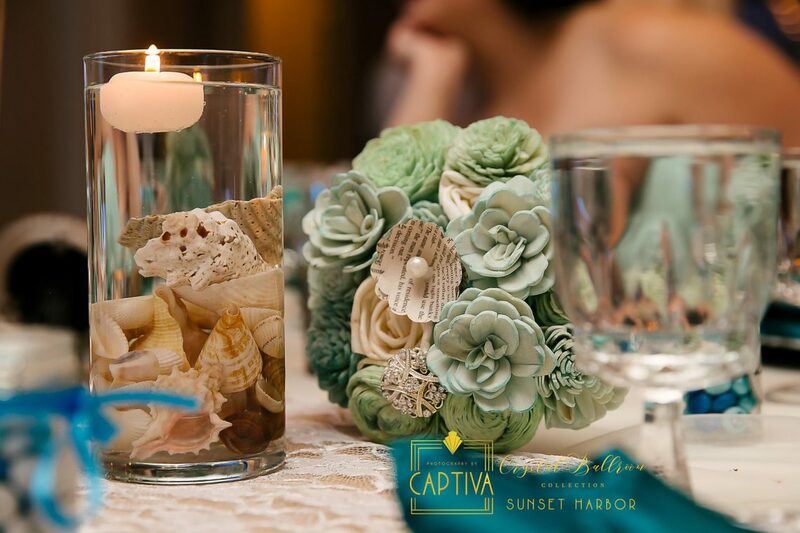 By providing catering, we have the ability to make your event as organized and stress-free as possible. 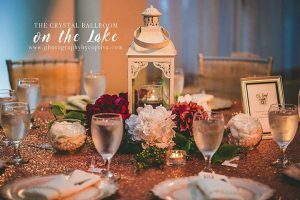 Choosing The Crystal Ballroom banquet hall for your special event will be the best decision you make, as we pride our venue and staff with being able to make your special day completely stress-free. 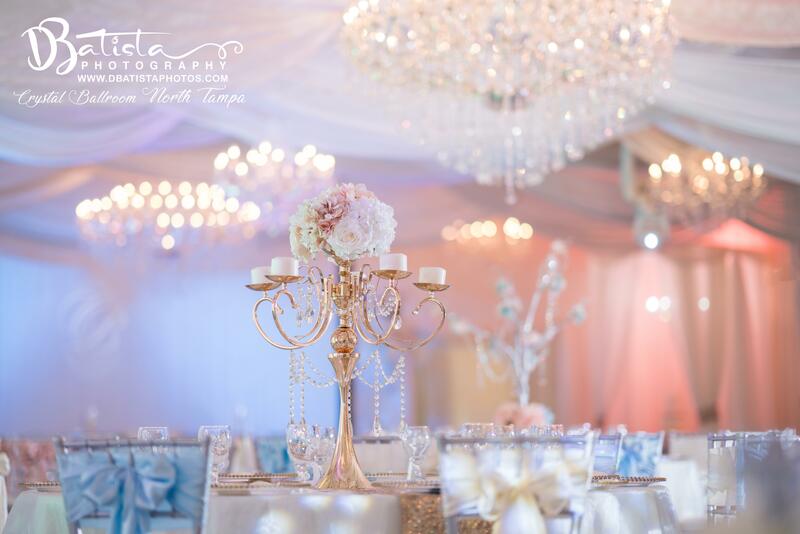 Our experienced staff members dedicate themselves to providing excellent service and accommodating every detail you request in order to make sure your event exceeds all expectations. 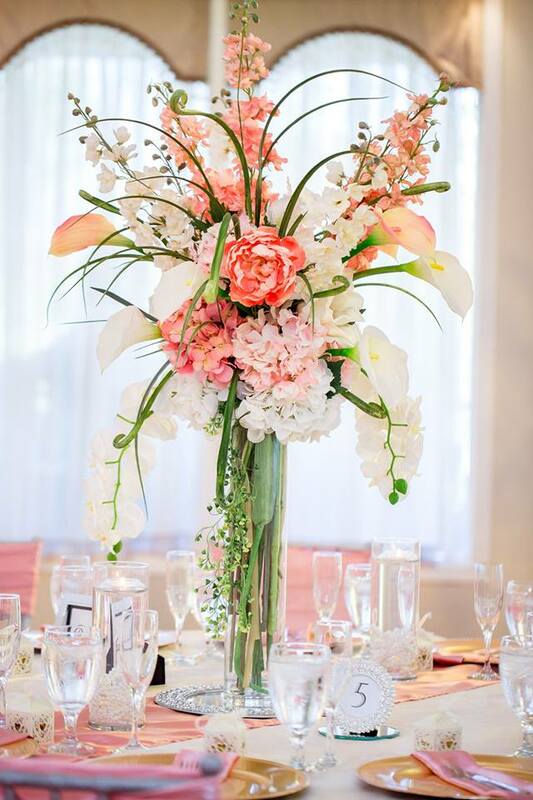 Browse our Decor Gallery online today!